As you know, GovTech is taking an ‘outside-in’ approach to develop useful apps, digital services and tech. We want to realise and deliver user-centric services to benefit citizens, businesses and Singapore as a whole. We put users first and foremost in our work. That means approaching an issue or problem from the perspective of the user – good news, that means you! We want you to join us at the beginning of our product journey – to help us identify areas of improvements and solve problems together. 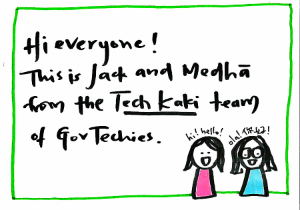 And so, let us introduce you to Tech Kaki, a new community set up by GovTech for citizen participation, i.e. let’s combine forces to make things better! We welcome anyone who loves tech and want to use tech to improve lives – you don’t have to be a tech guru! Tech Kaki is something new we are trying for the first time, and we need your help to make it work. 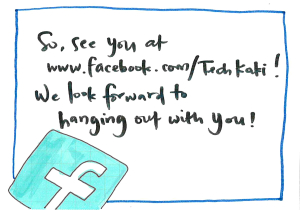 As part of the Tech Kaki community, you will get first dibs on our new tech products or services before they go live! That’s right, you will be part of the development team to help make the end products better! We will be publishing quick surveys featuring upcoming products regularly. All you have to do is to take a few minutes to answer them, it’s that easy!